The Monarch School of New England (MSNE) is a unique, comprehensive, private, non-profit, year-round, specialized, day school for students, 5 to 21 years of age, with severe physical, intellectual, emotional, medical and developmental disabilities. MSNE’s programs, located on two sites, are based on an integrated team approach and a vast array of traditional and innovative programs, including horticultural therapy. The first site is the elementary/middle school, which has just completed an outdoor classroom/therapeutic garden after 8 years of planning and fundraising. The second site is the brand new high school/vocational training center, which includes an indoor horticulture room as well as outdoor space to create a therapeutic garden. As with all endeavors at MSNE, planning the high school therapeutic garden is a collaborative process; therapists from all disciplines, special educators, students, and administrators work together to ensure a design that is user-friendly to all. Led by a full-time horticultural therapist who is also an occupational therapist, group, and individual horticultural therapy sessions focus on decreasing stress while addressing individualized therapeutic goals as identified in the students’ Individualized Education Programs. 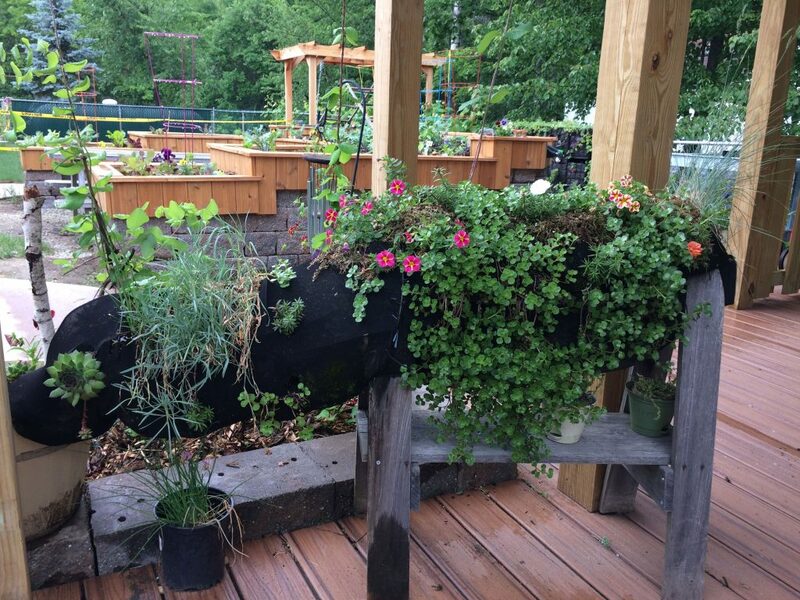 The outdoor environment is a valued element in the therapeutic and educational programming at MSNE, and the therapeutic garden provides a safe and motivating place for students and staff to interact with plants and nature.